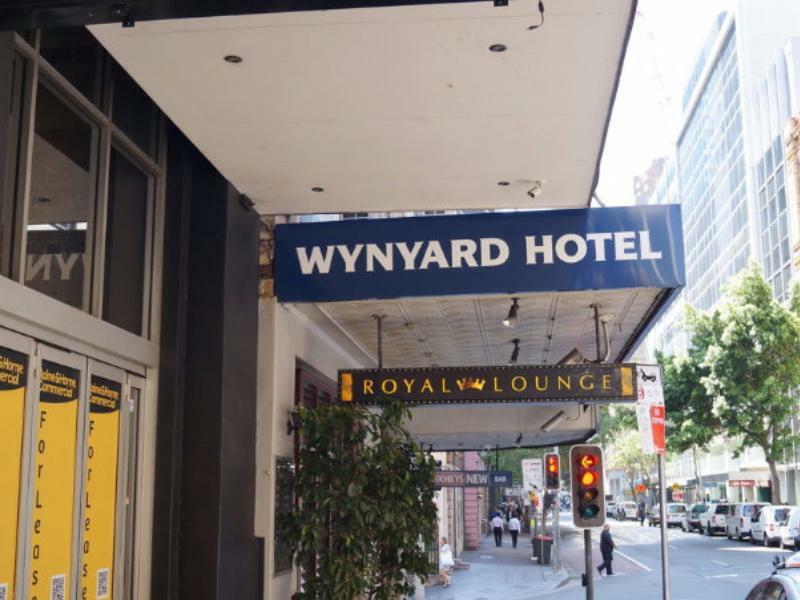 إن فندق Wynyard Hotel بموقعه الممتاز في Sydney CBD هو نقطة انطلاق جيدة لنزهاتك في سيدني. يمكن من هنا للضيوف الاستمتاع بسهولة الوصول إلى كل ما تقدمه هذه المدينة النابضة بالحياة. يوفر الفندق بفضل موقعة الجيد وصولاً سهلاً إلى أهم معالم المدينة.
. استمتع بالخدمات الراقية والضيافة التي لا مثيل لها بهذا الفندق في سيدني. لضمان راحة ضيوفه، يقدم الفندق الخدمات التالية: واي فاي مجاني في جميع الغرف, تخزين الأمتعة, واي فاي في المناطق العامة, غرفة عائلية, مطعم . تتضمن كل غرف النزلاء وسائل الراحة والتسلية المصممة خصيصاً لضمان الراحة القصوى للضيوف. كما أن مجموعة الخدمات الواسعة الموجودة في الفندق لضمان راحتك تترك لك الكثير من الخيارات لقضاء وقتك أثناء فترة إقامتك. استمتع بخدمات لا يعلى عليها وعنوان ذو اعتبار في Wynyard Hotel . يُرجى العلم بأن رسوم الأطفال ورسوم النزلاء الإضافيين وأي رسوم أخرى إضافية يجب دفعها في الفندق مباشرةً. مبلغ تأمين على المفتاح بقيمة 20 دولارًا أستراليًا عند تسجيل الوصول، ويُرد هذا المبلغ للعميل عندما يقوم بتسجيل الخروج. رسم بقيمة 20 دولارًا أستراليًا مقابل المراتب الإضافية المطلوبة في الغرف. يُرجى العلم بأنه يستطيع النزلاء تسجيل الوصول في منطقة البار الرئيسي، حيث سيساعدهم العاملون في فندق "وينيارد" (Wynyard) لتلبية أي طلبات قد يحتاج النزلاء إليها بكل ترحاب. على النزلاء الذين يخططون للقدوم بسياراتهم التواصل مع العقار مسبقاً. يرجى الاتصال بالعقار مباشرة للحصول على رمز خصم Merival Secure Parking الخاص بك بنسبة 10%. Pros: 1. Location - superb! few steps away from train station. 2. there's a 7 eleven below the hotel 3. quite near from tourist spots places 4. there's a near grocery mart (wynyard station) where you can buy all kind of stuffs. Cons: 1. Old hotel. Floors are making a lot of noise when you walk. Squeeky sound. It sounds like the floor will collapse anytime soon. 2. Rooms have no sound proof and theres a bar at the first level. Our room was located just above the bar and it was very noisy. You can hear like whats happening downstairs. The hotel is close to the train station which is very convenient. The place is wonderful and provides for a kitchenette that allows us to prep meals for the kids who are very particular with the food. We're Asians and the kids usually prefer rice meals so the place suits our needs. Very close also to convenience stores. We are 4 adults and 1 child (10 yrs).Room was old with creaky floor. Shared bathroom. There is a common kitchen where you have breakfast. There's a bar downstairs, gets loud a night. Also a small casino with slot machines.We just stayed for 1 night. For the price it's ok. Location was also good. If you are not sensitive to noise (as you can hear the traffic outside), then I think this hotel is acceptable. They offer free "prepare your own " breakfast and has a pub on the first floor. ;) The receptionists were basically the barmen/lady. Cool! Budget stay in heart of Sydney. Shared bathroom is alright, just like shared kitchen. Don't expect high standards are spacious room. You get what you pay for, but if you're not to keen on luxury, it's great value for money. Would stay here again to save on costs. There is no free Wifi signal as the staff mentioned there is some problem - all other facilities were great. The location made it easy to get to anywhere you wanted to go eg. darling harbour, chinatown, Queen Victoria Building within easy walking distance. Free breakfast provided with bread and milk. overall, quite satisfy with the hotel. the hotel is located in the middle of the city. 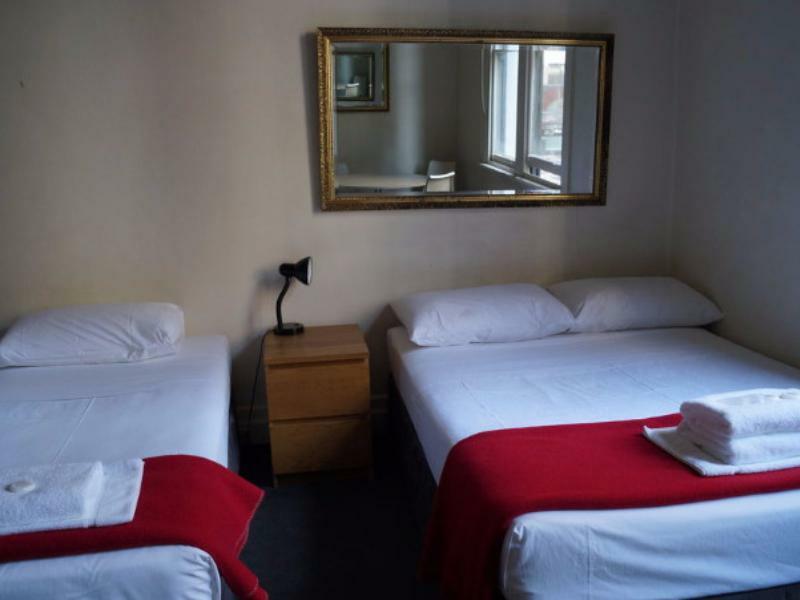 it is just a walking distance to all the tourist attractions. the hotel is having a bar at ground floor and they serve a great food. the food there is less than aud 10.00 when you have ordered a beer. they don't have reception in the hotel. the bar itself is the place for you to check in. they also don't have a lift in the hotel. we have to carry our luggage and climb the staircase. not suitable for old people and people who carry a big luggage. Walking distance to Darling Harbour, Harbour bridge, Coles for grocery, train station. Very nice and good place to stay if you have low budget. We paid just $350 for 3 nights for 3 adults and 2 kids... we have a 1 room with a double bed and a bunk bed. Really nice place to stay. The only problem is noise at night. Their rooms are not sound proof and a lot of noise comes from other rooms at night. The most amazingly friendly bar tender and staff member will lead you to room As you walk up the steep stair case and down an old wooden hall you question yourself if you will wake with both your kidneys The room has a ceiling fan and windows which open for your escape The bed is comfortable yet the single pillow seems to lack the knowlage it is a pillow. As you wake and decide to shower in the communal shower it feels as if you are stepping in to an old nazi gas chamber with shower in the bath tub and old stained shower curtains Warning the exposed shower pipes get hot, protect your one eyes snake as you turn in the shower. If you look to the room to pray to God you will notice the stains of blood from the last kidney slaughter. Enjoy your stay. if sleeping quality is what you consider, it may not a good options as pub is just downstairs. 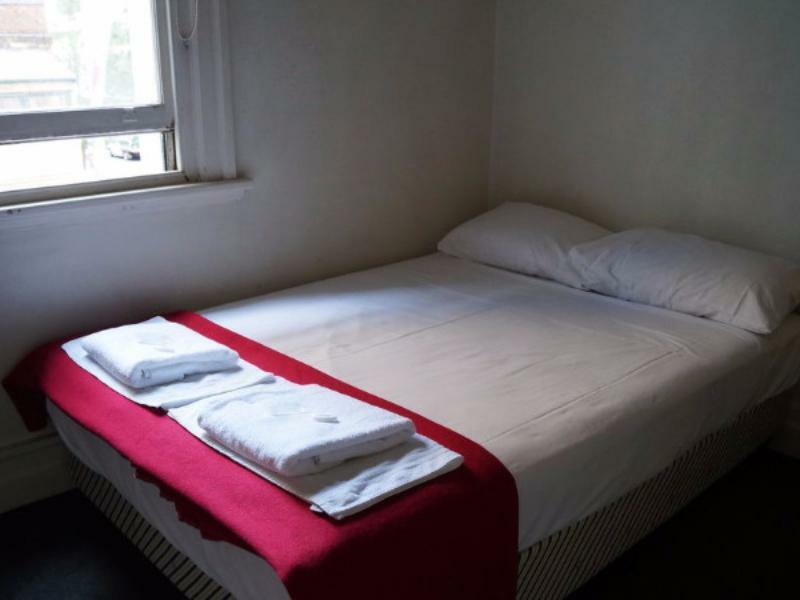 Good location, many big tourist attractions nearby and located next to Wynyard train/bus station so it's easy to go around. Breakfast is in shared kitchen where you can have some bread, Weetabix and cereals. Not much so better to add something on top of that yourself. There is a 7-11 right across the street. Floors are very squeaky and walls are thin. If you are sensitive sleeper, better bring earplugs with you. Wifi is not fast but good enough for basic surfing. Reception is located in the bar at ground level and the staff was friendly and helpful. Overall, a very good stay. Excellent place. The staff were very friendly and helpful. We were able to check in early (10:30 am) and they upgraded our room to family room (much larger). They also let us keep our room on the day of checking out, until 5 pm (to store our luggage). Please ignore the negative feedback regarding this hotel because I genuinely think it is a great place to stay. I've stayed in five star resorts and not enjoyed myself because the staff have been rude - that's the most important thing at the end of the day. The staff are super cool and I'd recommend staying here - especially if you're young and enjoy the nightlife; it's less suitable for families. great option at a sensible price for people visiting sydney. 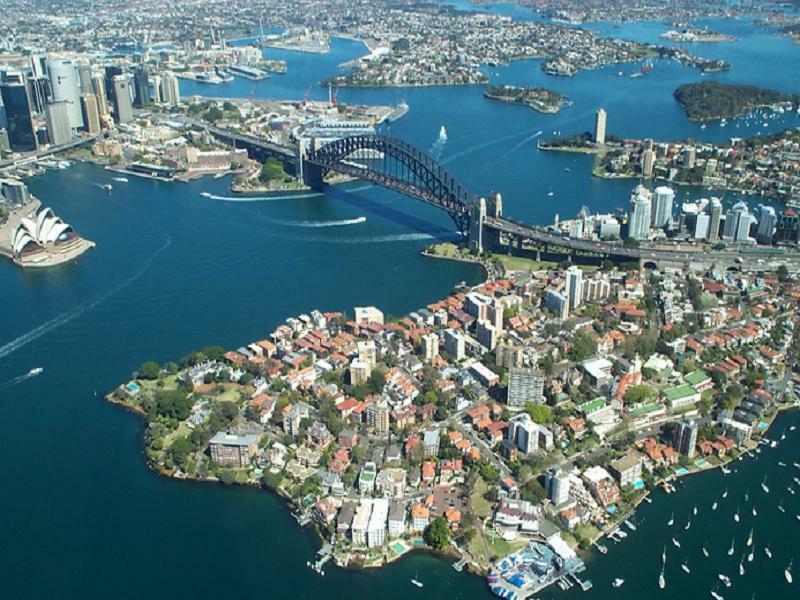 location is fantastic, around the corner from wynyard station and 10 minute walk to the opera house, circular quay etc. rooms are a decent size and clean although you do have a shared bathrooom. also provide kitchen facilities which is good. staff were all great too and a proper decent little pub downstairs. would happily stay there again. The room is clean, comfortable and safe. They had a electronic key which for the room, doors go through the bar downstair and door connected to the street. Therefore, i felt quite safe. It's located in a great location and quiet where have 7 eleven opposited. For younger adult, they will find it quite far away from China town, around 15minutes walk from the hotel. The kitchen is clean and full of every pieces of equipment and tableware. However, the toilet is just reached the acceptable standard. Location. Friendly & Helpfull Staff. As we were there for only 1 night it's difficult to give a more in depth view. However, it was warm, clean, friendly staff and in a great location, which was perfect for what we required. We didn't dine there, only using the breakfast facilities, which we fine.